When a person is arrested they could wait days, weeks or even months before their case is resolved, meaning they are sentenced or set free. All the time they spent inside this cell leading to their release or sentencing could be spent living their normal day to day life, if they had been bailed out. 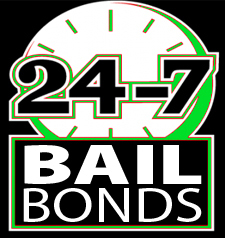 The team of agents at Rob Brown Bail Bonds in Kelseyville consists of professional bail bondsmen that can ensure your loved one doesn't spend a day in jail that they don't have to. We work hard to get your friend or relative released as soon as it is possible, minimizing their time in jail as well as the impact the arrest has on their everyday life. If you need to post bail in Lakeport, Ukiah, Colusa, Yuba City, and Marysville or elsewhere in the area give our team a call right away. We're standing by to help you and your loved one through this difficult time. Caring for their family - If a person is arrested they won't have the ability to care for children, parents or other people who depend on them for food, shelter and other life necessities. Continue working - In many cases if a person is bailed out of jail as soon as they are eligible they won't have to miss too much, if any, work. A person shouldn't immediately lose their job following an arrest. Continue their education - It is extremely hard to keep up with school work for many people. Should a high school or college student find themselves locked up they'll certainly fall behind with their classes if not quickly released. Take care of bills, home matters, etc. - Everyone has bills to pay, pets to feed, plants to water. If a person is locked up they will likely fall behind in payments and other issues will erupt at their home. Prepare for court - One of the most important reasons to bail someone out of jail is to give them an opportunity to properly prepare their court case. It can be extremely difficult to find an appropriate lawyer, gather evidence and otherwise put together a case that proves their innocence from behind bars. Being released from jail pending their court dates allows them to do these things. Posting bail for a friend or relative is a huge favor to them. They won't have to waste precious time sitting behind bars when they have a right to walk freely until proven guilty. To learn more about the purpose of bail in California or to post a bail bond in Lakeport, Ukiah, Colusa, Yuba City, and Marysville or in a neighboring town call (707) 587-4563 to speak with a bondsman at Rob Brown Bail Bonds.